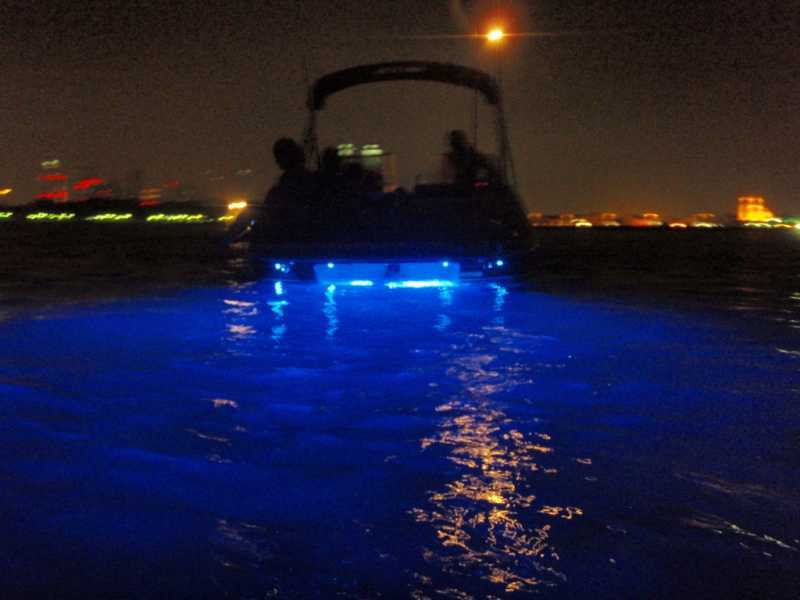 Boats are often fitted with powerful lights to help navigate the seas at night, but few are likely to be anywhere near as cool as our 6-watt marine floodlight. 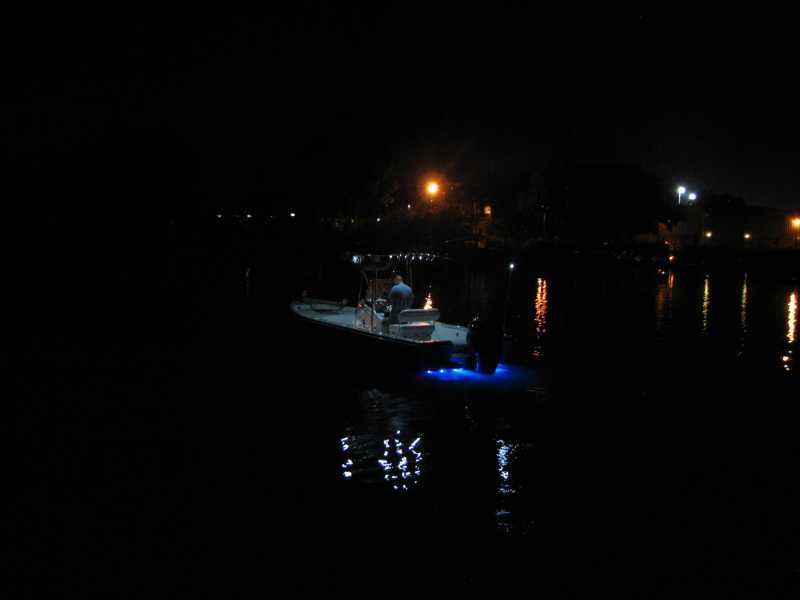 Specially designed to withstand the rigors of the deep blue sea, the floodlight is so cool that even fish will be drawn in droves to its mesmerizing glow - making it the perfect tool for night fishing. 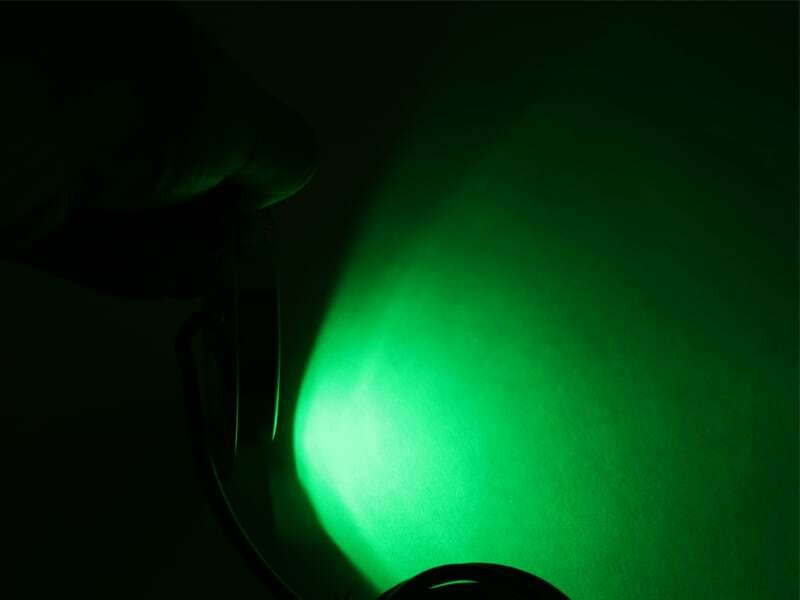 Available in white, blue, green and orange, the high intensity 6-watt floodlight penetrates surprisingly deep into even the murkiest of waters. Comprising a Marine-grade 316 Stainless Steel shell, which boasts a waterproof rating of IP68, the floodlight provides excellent longevity and is able to cope with prolonged exposure to salt water. Mounting the floodlight onto a boat is reasonably straightforward and requires just 3 x M4 screws (not supplied � see technical specifications for installation instructions). 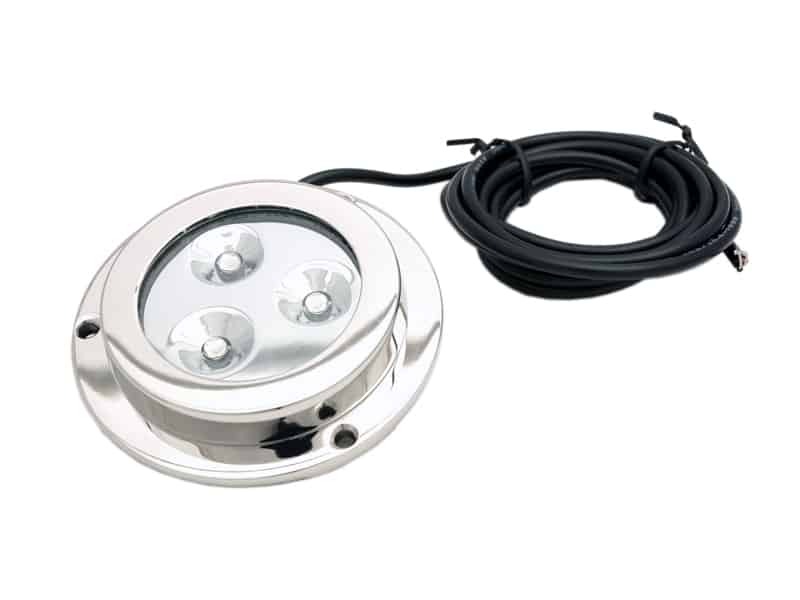 Owing to its sleek profile, the light can be positioned in various locations on a boat; although, for the most striking results, it is usually best to install the light just beneath the waterline on the hull. 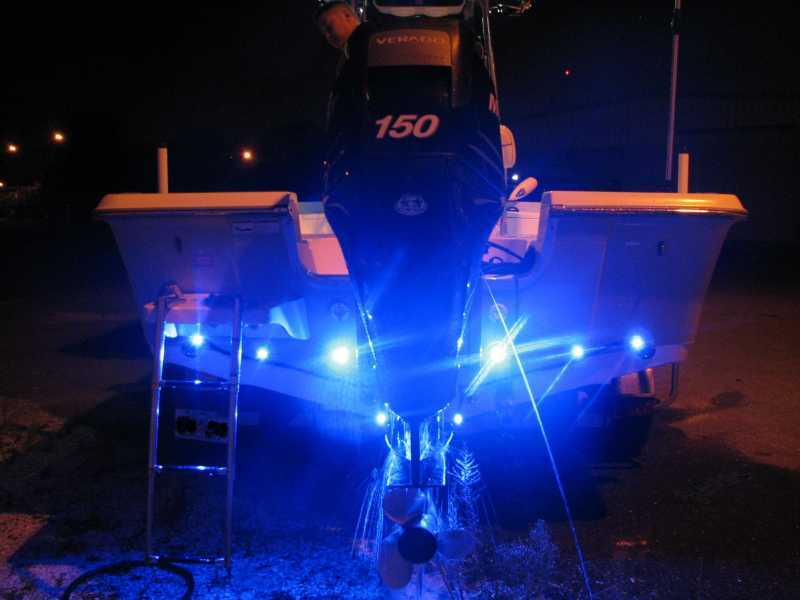 So, if your boat requires a little extra decoration or you enjoy watching the fish swim at night, you can hardly go wrong with this powerful high intensity floodlight. 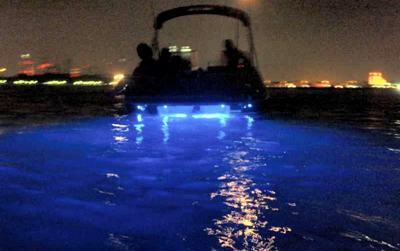 6W LED Marine Floods light up Arabian Gulf. Dubai. Also five, Prewired SuperFlux LEDs point down into the water from under the swim platform. Check out more stunning photos. Drill a 5mm hole for passing the electrical wire through the marine body. Use underwater marine sealant for sealing the hole. Fix the light on the ship place with 3x M4 screws. 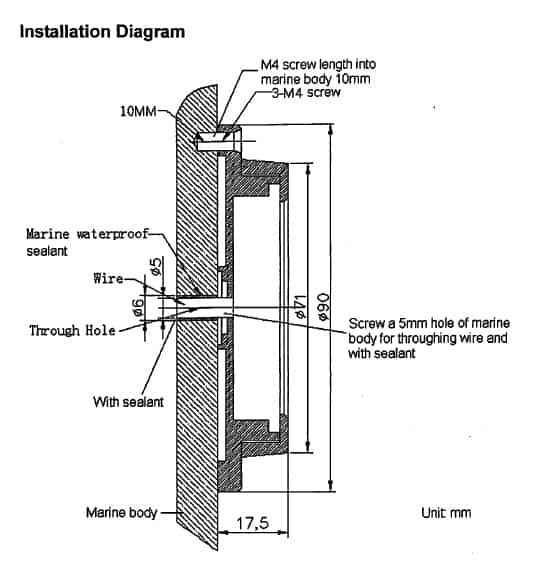 Use marine sealant for sealing screw holes. Recommend you to apply a clear, anti-fouling to stainless housing and glass lens of light for reducing marine growth. 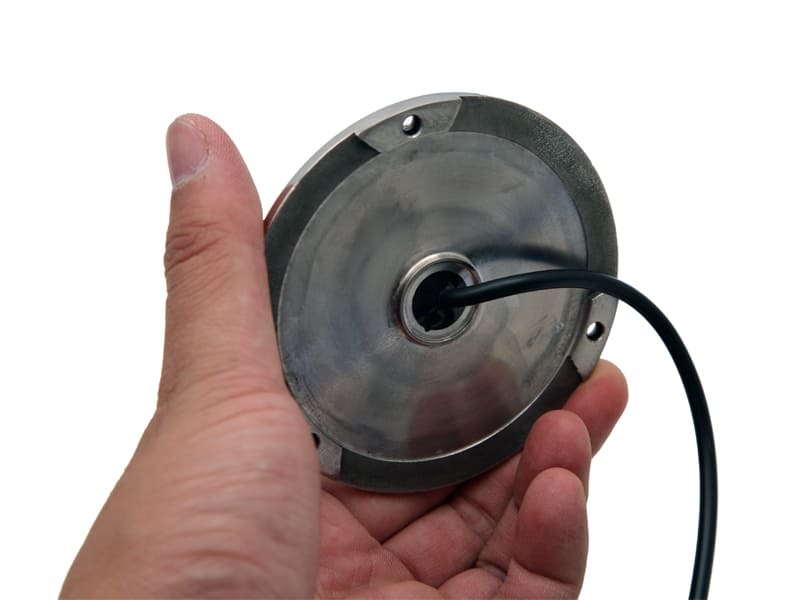 You may either receive a marine flood lamp with or without a power regulator. Both work well! 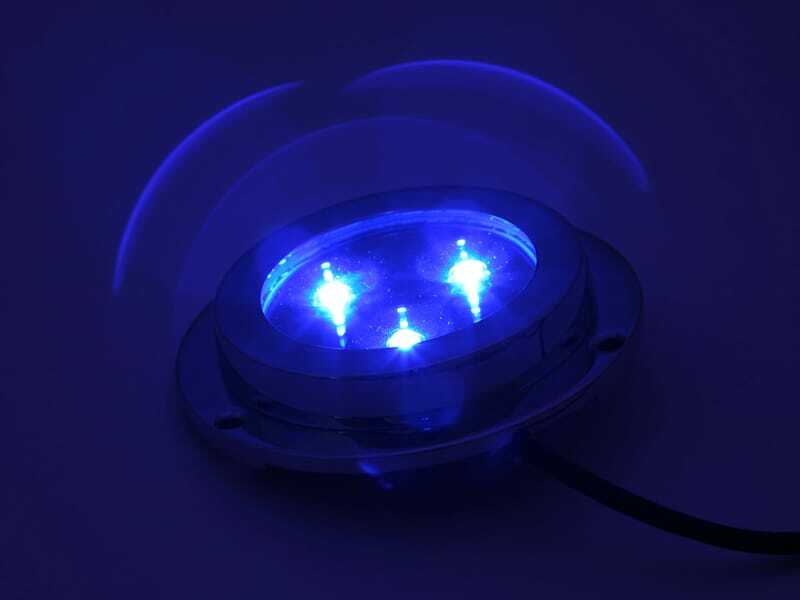 - When you received a marine flood lamp with a power regulator in the package, you must use the included voltage regulator, otherwise you might damage this high-power LEDs. 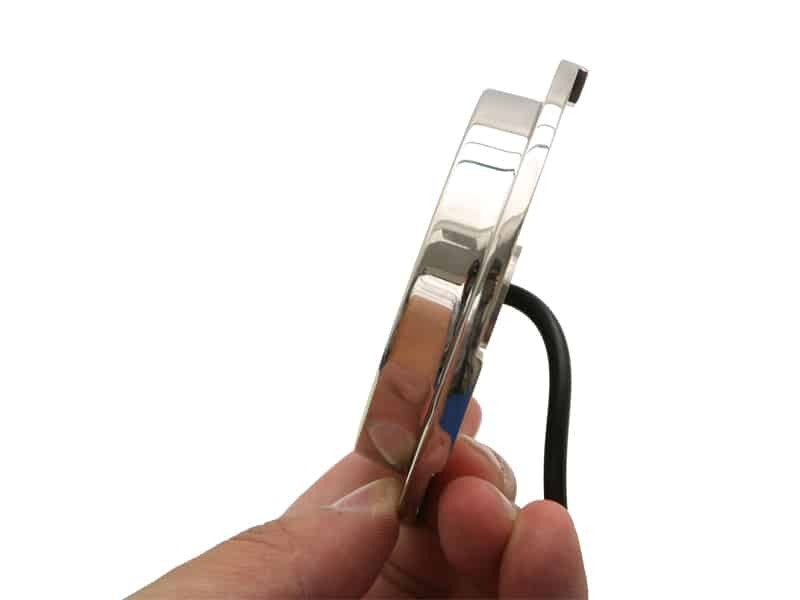 The voltage regulator will ensure proper functionality and long-life. 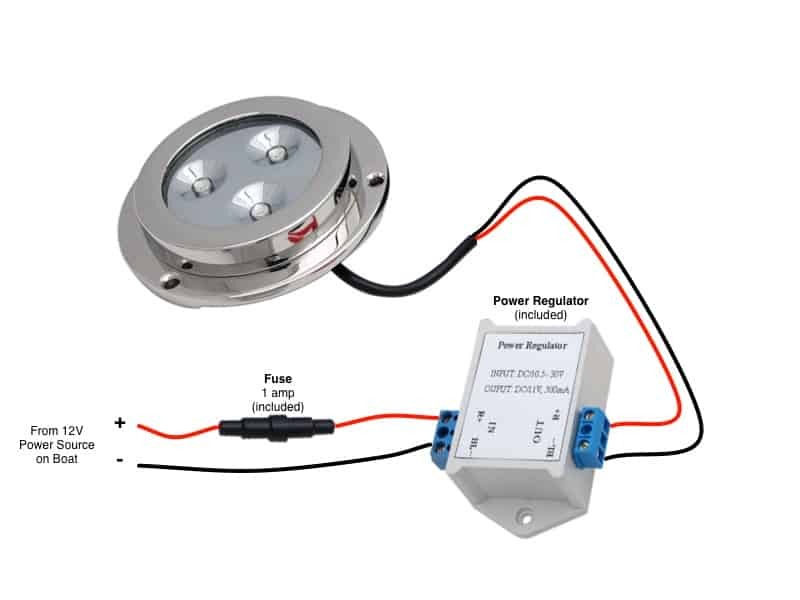 - However, if you received a flood lamp without power regulator in the package, you can just simply connect it to 12V power source since it is already designed to work with 12V. 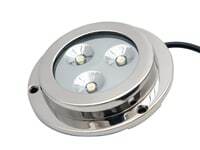 These lights are great, well priced and well finished! I have fitted two to my 24Ft Four Winns either side of the drive, the power of these things is fantastic just switch them on sit back and watch the fish. These have been fitted since November and have been dipped in the very salty Arabian Gulf heaps of times and show no signs of degrading. One thing that I had a problem with was finding the correct size screws, it would be better if the screws were supplied.